The Washington Times offers a report on crime novelist Don Winslow's next book. Crime writer Don Winslow just can’t leave the drug wars alone. 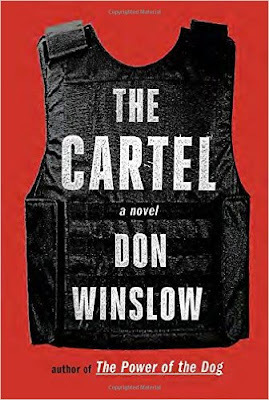 A year after he swore there’d be no sequel to “The Cartel,” his acclaimed follow-up to “The Power of the Dog,” Winslow tweeted Wednesday he’s begun a third volume. His literary agent, Shane Salerno, confirmed the news to The Associated Press and said the book currently has no title or release date. The first two novels center on the drug trade in Mexico and feature maverick drug law enforcement agent Art Keller and a cartel boss modeled on the notorious Joaquín Archivaldo Guzmán Loera, otherwise known as El Chapo.